How Can I Retrieve Data from Laptop? Hi all, some of my business office documents have been deleted from my HP laptop. Is there any way that I can get them back? My friend told me that my files are still on my laptop’s hard drive. Please help me!! Your friend is right: the deleted documents are still on your HP laptop’s hard drive. But they can easily be overwritten by new data on your laptop. So, the best solution for you to recover data from laptop is to stop using your laptop and find a laptop data recovery program to help you. Wondershare Data Recovery, or Wondershare Data Recovery for Mac is one of the most useful and risk-free laptop data recovery programs that helps you to recover data from laptop with ease, no matter the data was lost due to accidental or intentional deletion, hard drive formatting, system error, or even virus infection. 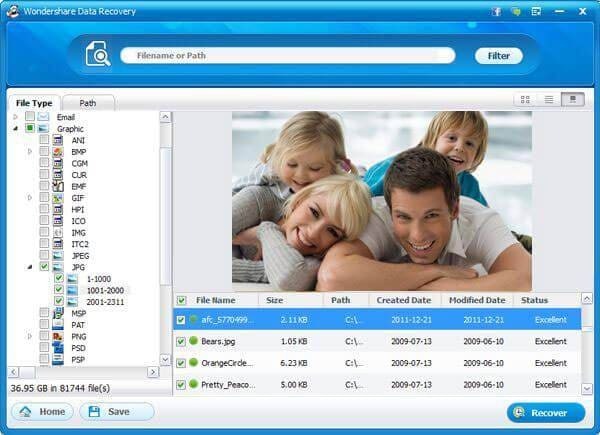 It offers you the ability to retrieve dozens of file types including office documents, images, audio files, videos and emails from your Laptop. It works well with almost all famous laptop brands, such as Lenovo, Toshiba, Sony, HP, Dell, etc. 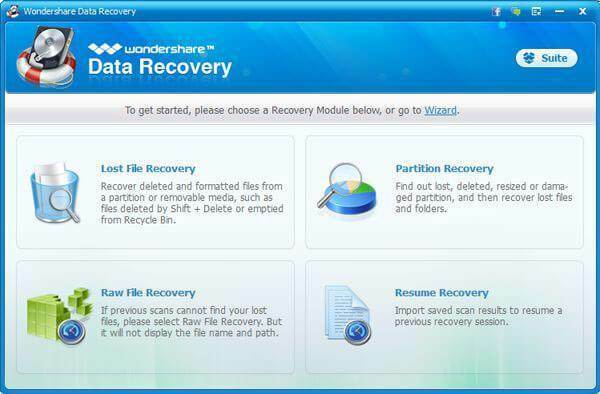 You can download the trail version of Wondershare Data Recovery below. Please select the right version for your computer OS. Let’s perform the recovery with Windows version of the program. Before we get it started, please install the program on another hard drive of your laptop. After launching the program and switch into “Standard Mode”, you’ll be provided with 3 recovery modes in the primary window. You can check theirs instructions carefully to learn how they work. Here, you can try with “Lost File Recovery” mode at first. Then the program will show hard drives on your laptop automatically. You just need to choose the one that your data was lost from and click “Start” button to begin scanning it. Note: If your laptop’s files were lost because of formatting, please select “Enable Deep Scan” option in the window. Your laptop’s found data will be shown in categories or paths after the scan. You are allowed to view file names so as to check how many files you will be able to retrieve. 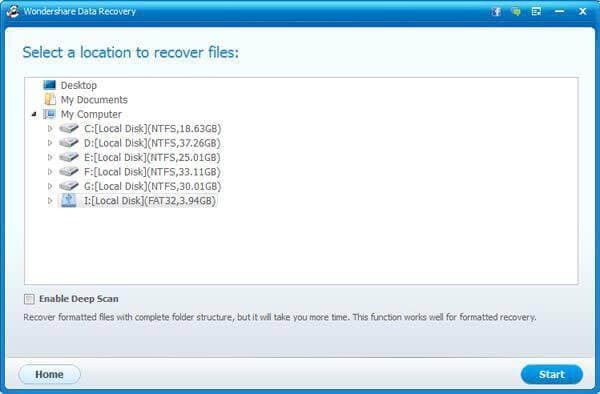 Finally, you can select files you want to restore and click “Recover” button to select a folder on your laptop to keep them. Please do not save the recovered data back to its original location. It’s better to restore them on a new hard drive on your laptop. Note: If you are going to recover data from a laptop that is broken or crashed laptop, you need to take your laptop’s hard drive out and connect it with another computer to do the recovery.